The Lakota, also known as Teton ("prairie dwellers"), and Teton Sioux ("snake, or enemy") are a Native American people group consisting of seven bands with the majority residing on the Pine Ridge Reservation in southwestern South Dakota and the Cheyenne River Reservation in north-central South Dakota. Pine Ridge Reservation is home to poorest counties in the United States. Unemployment in some locations reaches 90% and male life expectancy often does not exceed 48. Much of the Cheyenne River Reservation does not have water systems, making it difficult for people to live in sanitary conditions. In recent years, water systems have been constructed. Very few jobs are available. Two-thirds of the population survives on much less than one-third of the American average income. Such dismal living conditions have contribute to feelings of hopelessness and despair. In Canada, they are also known as the Dakota. There are nine bands of Dakota and Lakota in Manitoba and southern Saskatchewan, with a total of 6,000 registered members. They are recognized as First Nations but are not considered "treaty Indians". As First Nations they receive rights and entitlements through the Indian and Northern Affairs Canada department. However, as they are not recognized as treaty Indians, they did not participate in the land settlement and natural resource revenues. The Dakota rejected a $60 million land rights settlement in 2008. The Lakota language is mutually intelligible with the Dakota language. A large percentage of Lakota use the Lakota language to converse with one another and in their homes. Their primary religion is their traditional beliefs and practices. To Lakota, religion is not compartmentalized into a separate category. More appropriately, Lakota traditions and spirituality are fully integrated into a life rhythm including all aspects and patterns of the universe. Hear Lakota Spiritual Leaders explain their ethnic religion. 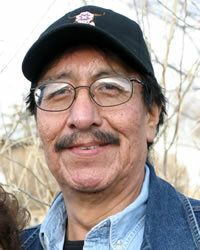 Some Lakota are Catholics and a few adhere to Mormonism. Pray that God will work in the lives and hearts of Lakota via dreams and miraculous means in order to reveal that Jesus Christ is the ultimate God who became intimate and lived among us. Pray that evangelical Native Americans will intentionally engage the Lakota both in word and deed.